Maymay Entrata on modeling: "Kunwari iniisip ko lang, maganda ako." 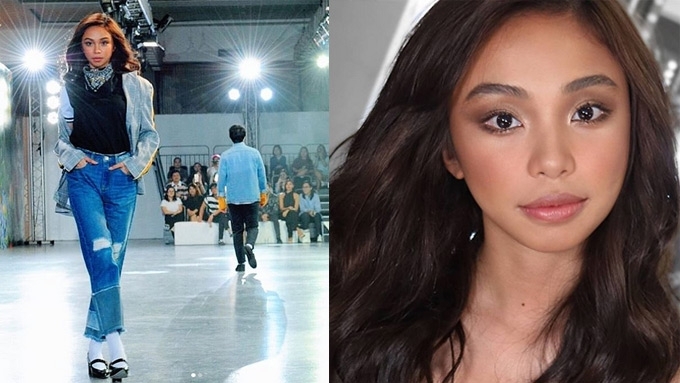 It seems like Maymay Entrata's dream of becoming a professional model is about to come true. According to ABS-CBN.com, the Pinoy Big Brother winner received an invitation to a casting call for Arab Fashion Week. It came from AMATO couture, which was founded by Dubai-based Filipino designer Furne One, whose show is slated for November 21, at Dubai Design District (D3). Furne One designed Maymay's dress at the ABS-CBN Ball 2018 held last October 1. This was not Maymay's first invitation to a fashion show. On October 11, Rajo Laurel tweeted about his interest to get the 21-year-old Star Magic talent as one of the models for the Red Charity Gala held last October 29. "How can we make MayMay Entrata walk my Gala fashion show?," Rajo asked. In October 2017, Maymay's red-carpet look at the Star Magic Ball was noticed by no less than supermodel Tyra Banks. Maymay has been vocal about her desire to become a fashion model. In an interview with TV Patrol in September 2018, she said, "Nasa dreams ko po yung pagiging modelo. Nasa tamang panahon po yun." So far, Maymay has been slaying her runway gigs for the clothing brand that she endorses. She continued, "Natutunan ko lang yung sa YouTube, sa mga professional models. "Kunwari iniisip ko lang, maganda ako."